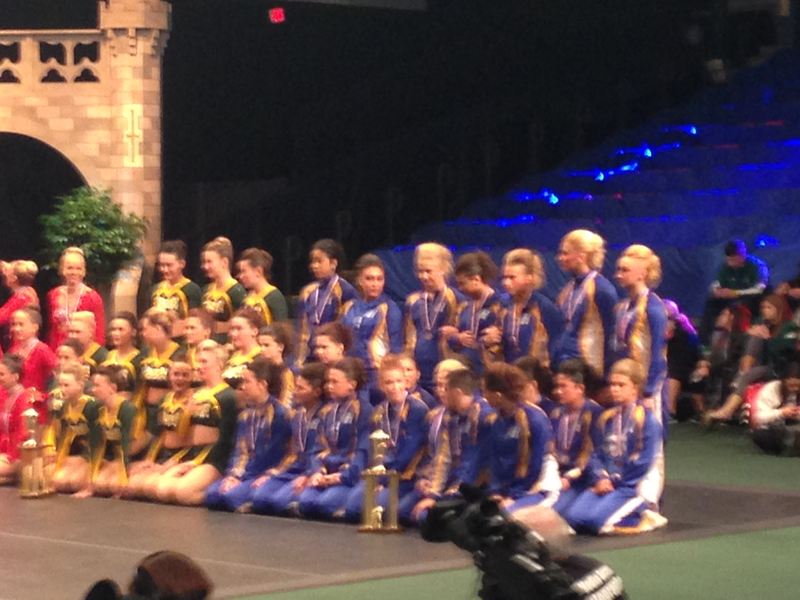 Hofstra Student Life: Cheer and Dance Teams Compete in 2015 UCA/UDA National Collegiate Championships! Cheer and Dance Teams Compete in 2015 UCA/UDA National Collegiate Championships! 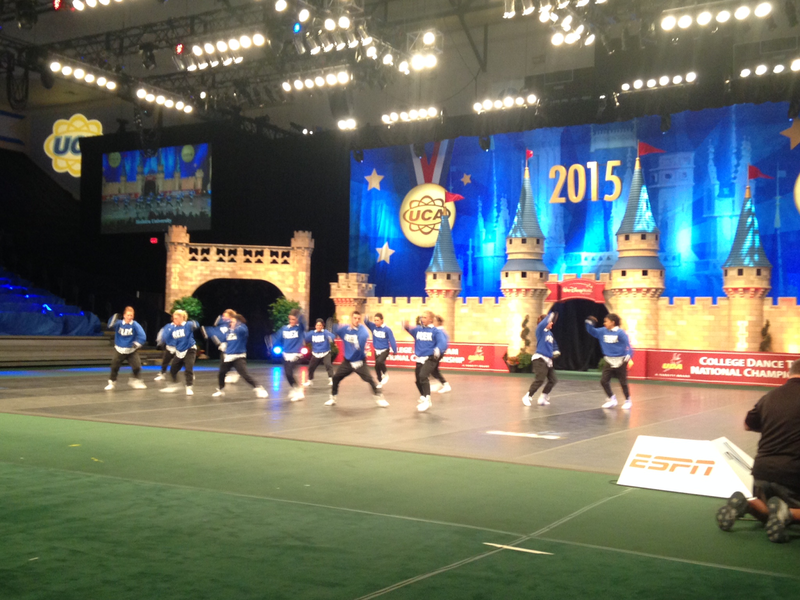 This past weekend the Hofstra Cheer and Dance Teams traveled to the UCA/ UDA College Nationals in Orlando, Florida. The UCA/ UDA Nationals are the most prestigious competition for both teams and they spend the whole year prepping. Teams come all across the country and all across the world to compete in the many various categories. The competition is sponsored by Varsity Spirit, a company that serves to promote the Cheering and Dance world on the College stage and beyond. 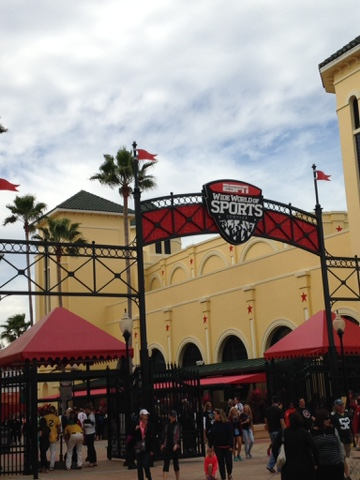 The competition is held at the ESPN Wide World Of Sports located on property of the Walt Disney World Resort. Both teams and coaches traveled to Orlando, Florida on Thursday January 15th to prep for the competition. Friday was spent with rehearsal time both on and site and off as both teams went over their routines again and again. Both teams hosted dinners in various areas of Disney World for the many friends and families that traveled as well to support the teams. Immediately following their dinner, the Cheer Team went right into their first competition with members of the squad participating in the Partner Stunt Competition. The Pride performed well right from the start and were named the national champions in that category before the night was through. Saturday began full competition for both teams with Cheer up first participating in their Semi- Finals competition. The support of the Cheer team fans was infectious and the team once again rose to the challenge. Next up was the Hofstra Dance Team with their Hip Hop Semi- Finals and Jazz Semi Finals. The team performed both difficult routines well and showcased their months of hard work. Cheer was then up again time for their finals competition for their Small Co-Ed Division 1 category. The fans once again went wild and the audience was a sea of blue and white showing them support. The day concluded with the Cheer Team awards. Competition was in the air as the winners were announced including last year's champions Bowling Green University. Hofstra Cheer came in second to Bowling Green last year by 1 pt. As they went down the list starting with 11th place towards 1st, it was finally clear that Hofstra had done it again and captured their 9th National Championship. The room erupted and tears and hugs were shed by the many friends and family in the room. The day concluded on a high note along with the excitement for the finals for Dance competition the following day. On Sunday morning the Dance team performed their jazz and hip hop routines in the Division 1 finals. Both the energy that the team gave off and the cheers of the crowd enabled to deliver solid performances in both. The day concluded with the awards for both categories which secured for Hofstra a 5th place finish in Hip Hop and a 3rd place finish in Jazz. The team had delivered two solid routines back to back and were proud of their accomplishments. Both teams showed the true meaning of PRIDE and their hard work was infectious throughout the competition. Don't forget to support both teams during Basketball season this winter and beyond! Follow them on Twitter for updates @HofstraCheer and @HUDanceTeam!